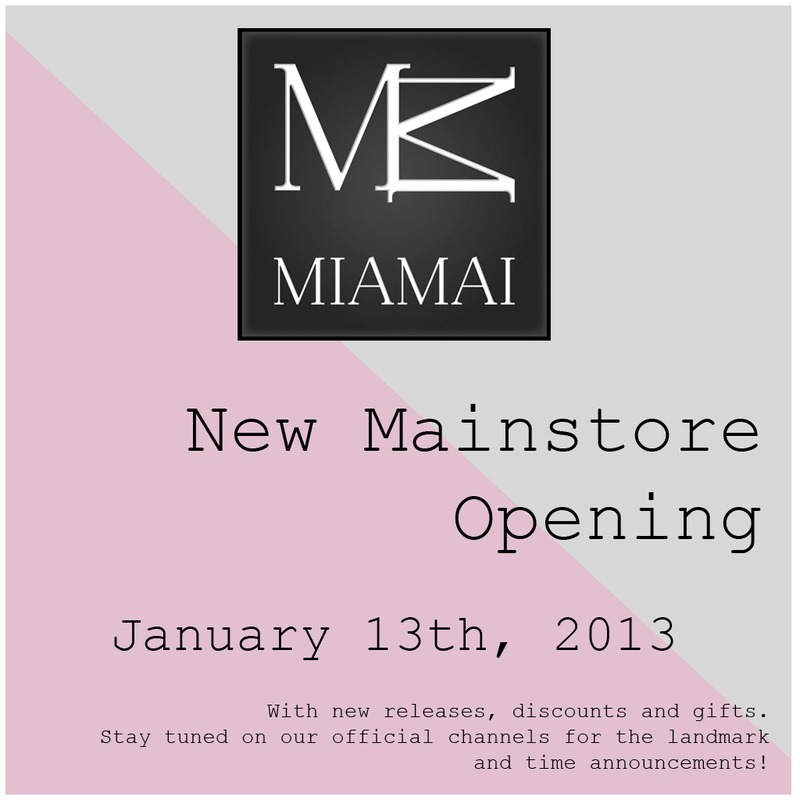 Big news happening this weekend at Miamai! We are finally moving to an own sim, with a new Mainstore!!! More infos will be posted as we get near Sunday, when we will finally reveal the location and allows you all in!